Views from Sage Hill Inn: Give More Get More At Sage Hill Inn! Views from Sage Hill Inn shares news and tips from the front porch of Sage Hill Inn, a luxury Texas Hill Country bed and breakfast. 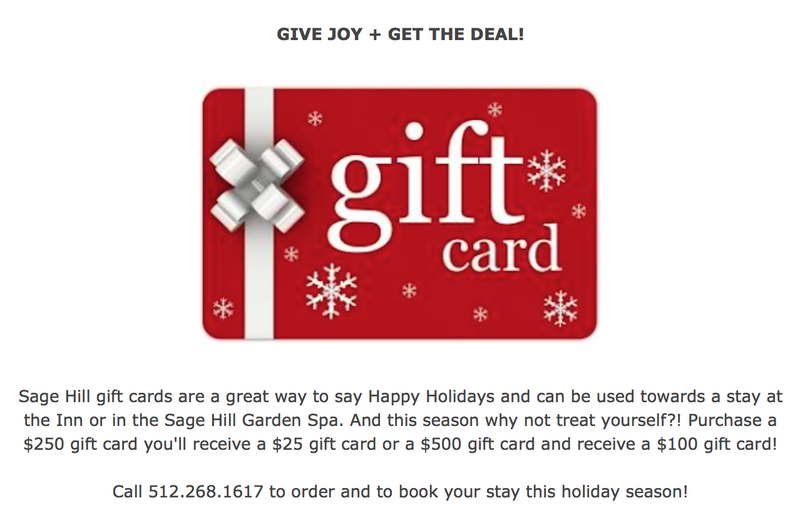 Give More Get More At Sage Hill Inn! photo from one year ago when we woke up to a beautiful surprise! a Sage Hill gift certificate. 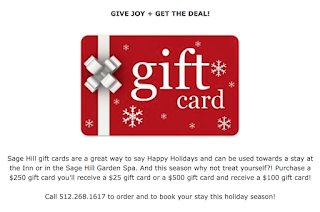 Treat your friends and family to the same wonderful experience you had at the Sage Hill Inn! Gift them a luxurious king suite with a delicious three-course dinner prepared by our chef, or a relaxing day getting pampered in our Garden Spa. Need a break? 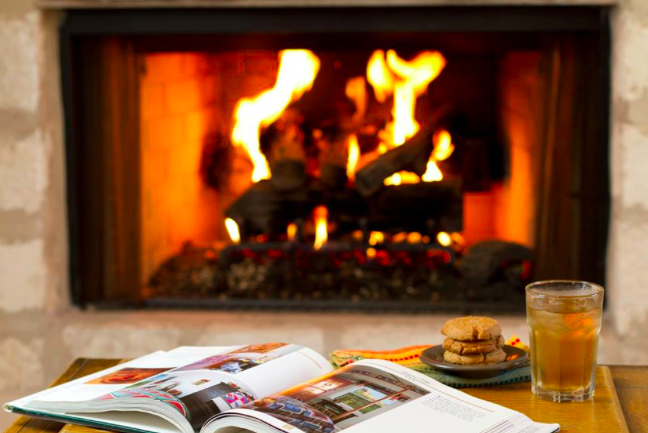 Gift yourself this holiday season and plan to take that much-needed vacation. The pure joy of experiencing the breath-taking Texas Hill Country is meant to be shared, so give the gift that leads you there. From now until December 20th, purchase a gift certificate at $250 and receive another at $25, or purchase a $500 gift certificate and receive another at $100! You must call 512-268-1617 to take advantage of this offer, so don’t wait! Give joy and get the deal today. Come enjoy our amazing firepit and watch the sunset. Don't forget each of our rooms has it's very own fireplace as well! If you like reading our blog, you might also enjoy our Sage Hill Inn Recipe Blog.